Home > Special Articles > New Mechanism Will Help Revive the Indian Construction Sector..
New Mechanism Will Help Revive the Indian Construction Sector.. The Cabinet Committee on Economic Affairs (CCEA) yesterday (Aug 31, 2016) sought to provide a positive push to the construction sector via a slew of initiatives to give a fillip to private participation and investments while also providing oxygen to revive stalled projects in the sector. The announcement that government agencies would pay 75% of the arbitral award amount to an escrow account against margin free bank guarantee, in those cases where the award is challenged, is a major step towards ensuring continued liquidity provisioning for the capital intensive sector. This escrow account will be used to meet ongoing project commitments while also servicing the bank loans. The new announcements are within the spirit of the new government to enable ‘ease of doing business’. With the significant contribution of the construction sector and its forward linkages to various economic activities, it is very necessary to remove roadblocks that stall the sector’s growth. The government itself has acknowledged that arbitration proceedings are long-drawn and they have a cascading effect of stalling the projects, cost escalations, pressure on the financial institutions and impeding firms to complete the projects, with their experience also putting them off from future such engagements. The government departments have further been advised to switch to the new arbitration rules with the consent of the execution party to ensure timely redressal of grievances during project implementation phase. Setting up of Conciliation Councils comprising of subject matter experts has also been suggested for speedy disposal of disagreements. The construction sector and its contribution are hugely driven by private sector participation, and hence such encouragement was definitely needed. At a time when we are encouraging investments with added emphasis on infrastructure creation and also providing a push to the real estate sector, such measures come as confidence boosters. Stalled projects also have a major bearing on debt recovery of the financial institutions, which in turn fuel stress within the financial system by increasing bad debts and stretching the recovery period. The new measures will ensure that the resulting financial stress on the funding institutions is managed to ensure bad debts are controlled and the funding supply remains healthy. This is possible only when construction loans are recovered in time. Another positive has been the advisory to switch from item-rate contracts to EPC mode of contracts. Under the item rate contract, the government or the nodal agency provides the detailed design and the estimates of quantities of different items of work called Bill of Quantities, that would be needed for execution. Payments are made to the contractor based on measurement of work done in respect of each item. Inadequate project preparation and estimation under this method usually result in cost and timeline overruns. The EPC contract mode is largely used in across most big projects in the developed countries. Under this contract, the entire responsibility of project analysis, investigation, design and construction is given to the project contractor for a lump sum amount achieved through a competitive bidding process. This allows for project implementation to specified standards with a higher degree of certainty related to costs and time. It sets a higher liability and risk on the execution party. Also, government departments have been advised to adopt the model EPC contract which has been designed based on international best practices and clearly outlines the risk and rewards along with ensuring a fair and transparent process through its contractual framework. Infrastructure capacity-building remains a prime objective, and such initiatives will ensure that projects are not stalled due to ongoing disputes. Financial support and quicker project execution will ensure that the objectives of the government and the industry remain in sync, and that both move forward together. The cascading impact on the economy will be significant. 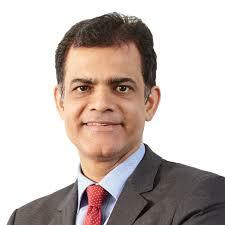 Mr. Anuj Puri is Chairman & Country Head at JLL India.